I just wanted to say thank you for being a part of the Mama Bean community. This year has seen this community grow and grow and that's thanks to you. Every comment, every Facebook 'like' or 'share' and every nod of agreement really does unite us. Because we are all mothers; walking our unique paths and responding to our babies' needs with gentleness and love. 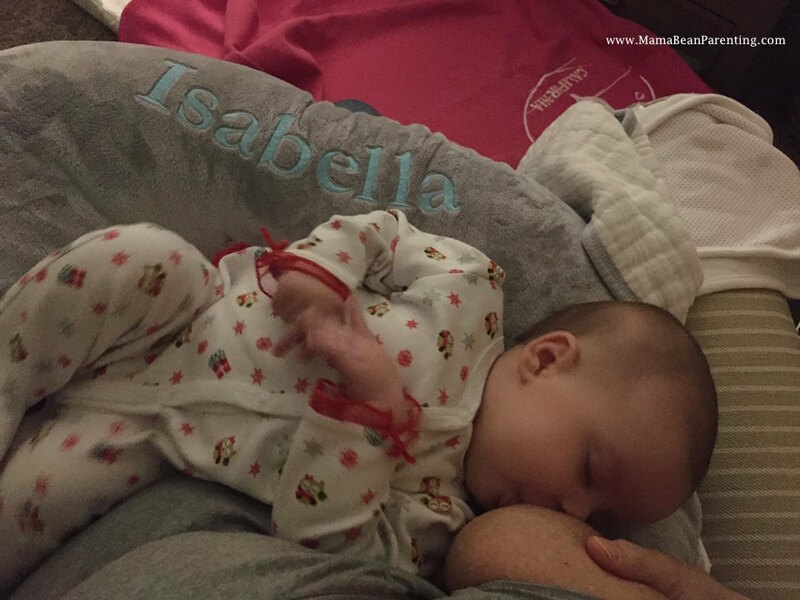 This year, we covered topics ranging from positive post-partum body image, to normal infant sleep(lessness)...with a recurring focus on breastfeeding advocacy, of course. Next year, you can expect more of the same - because there is still work to be done in normalizing the normal. I'd love to hear from you as to what you would like to see more of, here at Mama Bean Parenting...I am lucky enough to have this platform and I want to ensure that I use it in a way that is representative of us all, so please do let me know and leave a comment if you have the chance! Happy Holidays to you, fellow members of this incredibly supportive and special online tribe. And in the spirit of all things festive, here are a few Christmassy nursing pictures to celebrate...from a Christmas onesie to a breastfeeding Santa...these pictures are sure to melt even the Grinch's heart!